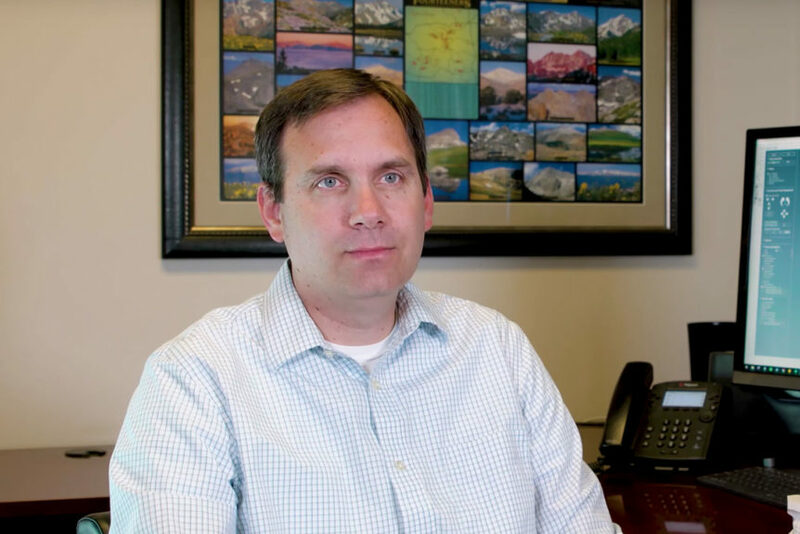 3D Printed Orthodontics: OrthoSelect Interview – SprintRay Inc.
A few weeks ago, we popped over to Salt Lake City to pay a visit to OrthoSelect, a laboratory that focuses on helping orthodontists with treatment planning and bracket placement. Using SprintRay 3D printers, they print indirect bonding trays that save doctors up to 45 minutes per patient when placing braces. These 3D printed orthodontics not only save chair time for doctors, but they improve the patient experience as well. A shot from the OrthoSelect lab, where a technician is designing a treatment plan. Plans like this will be exported and the printable files send to clinicians. With the proliferation of desktop 3D printers, Gardner notices a shift away from fabricating bonding trays in his own lab. Providing the treatment plan is becoming a larger part of the business. As more orthodontists join the 3D printing revolution, OrthoSelect is doing less fabrication of indirect bonding trays. 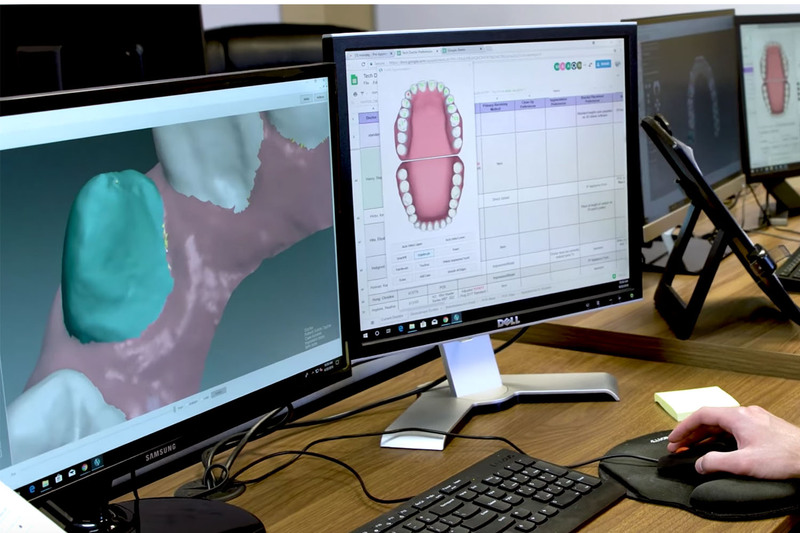 Doctors now send in a scan of a patient’s dentition, OrthoSelect designs the treatment plan, then they send back the printable files. Gardner’s recommendation to those orthodontists who want 3D printed orthodontics in-office? SprintRay 3D printers. Because of their low cost and high speed, SprintRay 3D printers are great for those looking for an edge. Due to its DLP technology, it also has a big edge over many other printers in its price range. 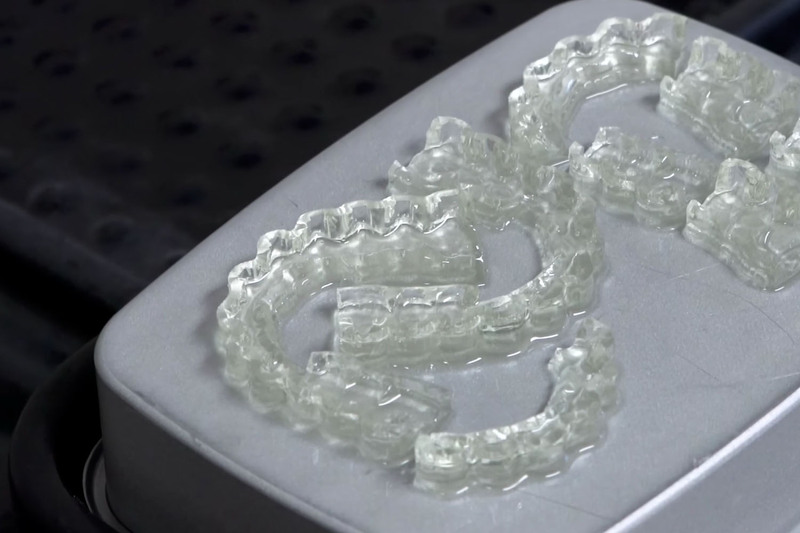 By printing one full layer at a time, the SprintRay 3D printer line can fabricate up to ten clear aligners at once. Indirect bonding trays, fresh out of the resin. These trays will be removed from the build platform and post-processed. At OrthoSelect, Gardner sees the value of 3D printing. In addition to 3D printed orthodontics, doctors can also use SprintRay 3D printers to fabricate clear aligners, night guards, and dental models used to demonstrate treatment. One thing is for sure: fabricating dental appliances isn’t just for labs anymore. As labs transition away from traditional fabrication, the value of having a 3D printer in the clinic continues to increase. For appliances like indirect bonding trays, the future is printed. Thanks to Steven Gardner and OrthoSelect for opening their office to us!